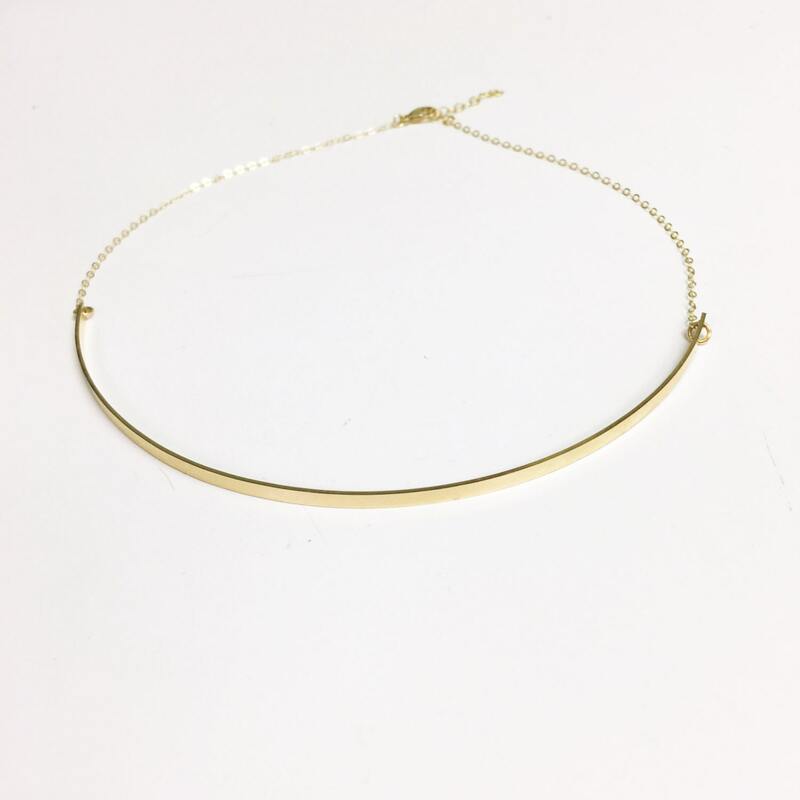 Our gold choker is simple yet elegant and perfect for yourself or as a gift. 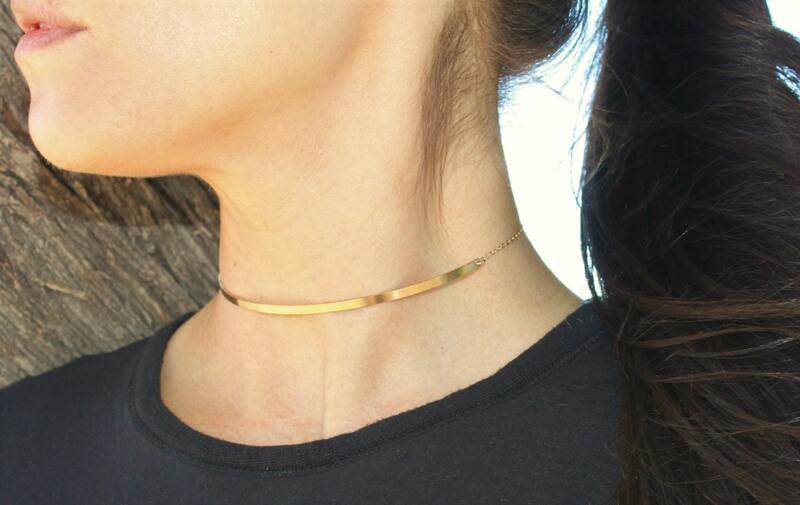 This gold choker necklace is perfect alone or layered. 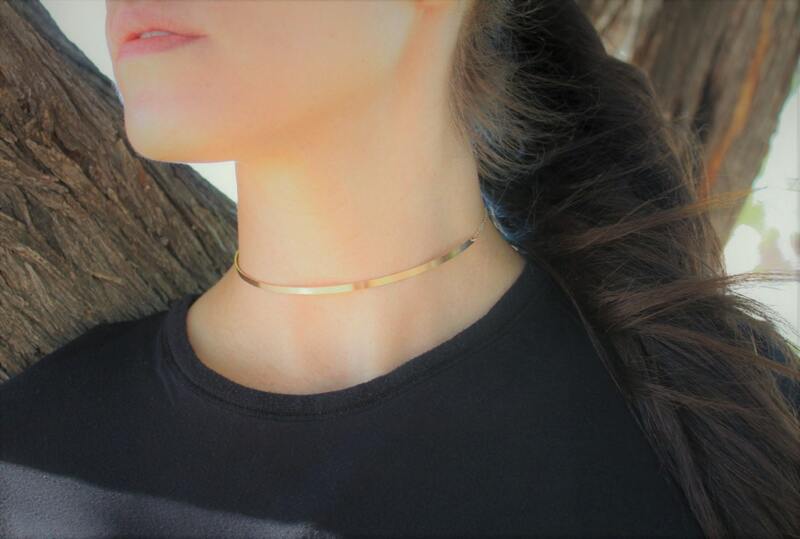 -Bar and chain are high quality 14kt gold filled or sterling silver- not plated. 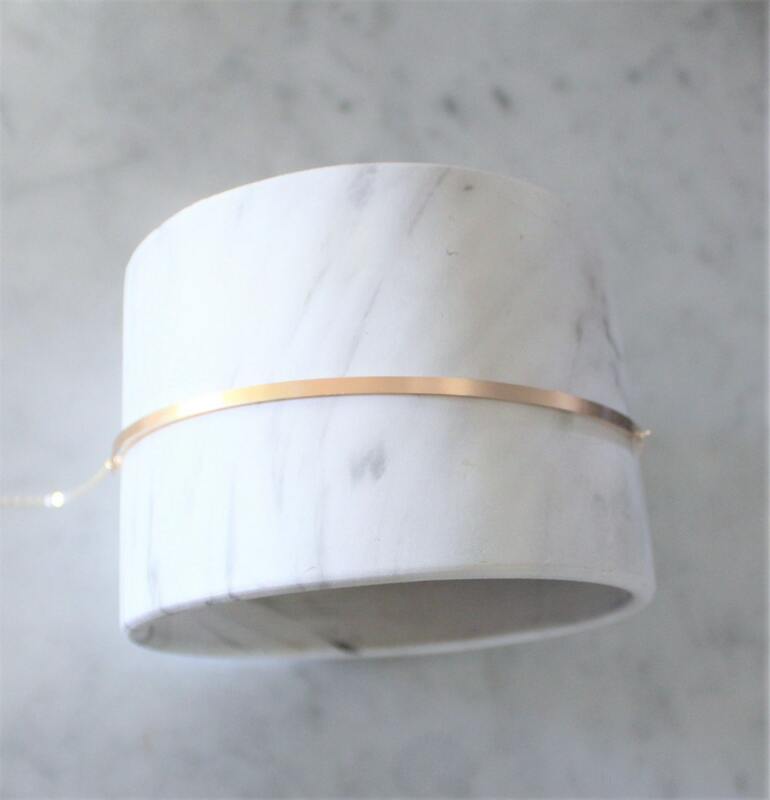 Beautiful choker. As expected. Thank you. The clasp and rings are very small which makes putting the choker on a little challenging. Nice packaging.